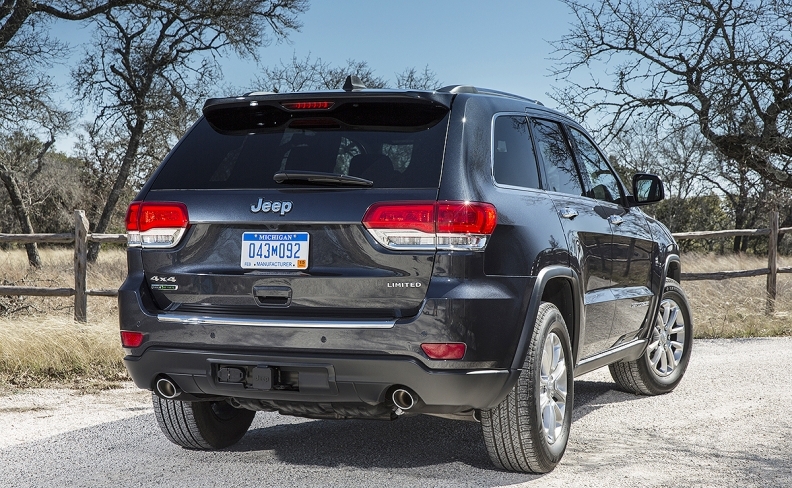 The EPA says the 2015 Jeep Grand Cherokee EcoDiesel is equipped with illegal diesel emissions control equipment. WASHINGTON -- The U.S. Justice Department is preparing to sue Fiat Chrysler Automobiles if talks fail to resolve differences over the automaker's alleged violations of U.S. clean-air rules with its diesel vehicles, according to two people briefed on the matter. A lawsuit could be filed as soon as this week, said the people, who asked not to be identified discussing the confidential matter. Negotiations are still ongoing and the parties may reach an agreement to avoid prolonged litigation. A suit would mark an escalation of the U.S. government's months-long inquiry and could expose the automaker to significant penalties. The suit being prepared alleges the company used illegal defeat devices, one of the people said. Such devices -- software in computerized systems -- improperly disable pollution controls to enhance performance. Volkswagen Group admitted in 2015 to using defeat devices that turned on emissions controls to pass tests but turned them off during driving. Fiat Chrysler is adamant that its controls weren't designed to cheat emissions tests like Volkswagen's. Investigators have said Fiat Chrysler hasn't been able to fully explain the purpose of all the functions to their satisfaction. "In the case of any litigation, FCA US will defend itself vigorously, particularly against any claims that the company deliberately installed defeat devices to cheat U.S. emissions tests," Fiat Chrysler said in a statement. "The company believes that any litigation would be counterproductive to ongoing discussions with the U.S. Environmental Protection Agency and the California Air Resources Board." Fiat Chrysler has been seeking approval for updated software for 2017 model year diesels that it then intends to install in 2014-16 vehicles cited by the EPA in a Jan. 12 violation notice. The U.S. has been preparing a potential complaint ahead of an initial hearing for separate lawsuits, brought by owners of the diesel SUVs and pickups, on May 24 at the U.S. District Court for the Northern District of California. The San Francisco court oversaw VW emissions litigation. Volkswagen's defeat devices permitted its diesel cars to pass emissions tests even as they exceeded pollution standards on the road. Regulators stepped up testing in the wake of that scandal, leading to the discovery of Fiat Chrysler's alleged violations. Spokespeople for the Justice Department and EPA declined to comment. The EPA alleged in January that the automaker sold 104,000 Jeep Grand Cherokee SUVs and Ram 1500 pickups with diesel engines containing "auxiliary emissions control devices" that the company failed to disclose to the agency. In the notice of violation, the agency also said that one or more of the undisclosed emissions controls may be defeat devices and challenged the automaker to convince investigators otherwise. Some of the controls "appear to cause the vehicle to perform differently when the vehicle is being tested than in normal operation and use," the EPA said in its notice. Test data showed that the vehicles produced high levels of nitrogen oxide pollution under certain conditions, the agency said in January. Fiat Chrysler CEO Sergio Marchionne denied the allegations on a Jan. 12 conference call. "We have no defeat devices," he said. Marchionne addressed the issue again last month. "We may have made mistakes" on diesel software disclosure, he said, though Fiat Chrysler "never tried to break any rule." The EPA said in January that Fiat Chrysler's lack of disclosure by itself constituted a Clean Air Act violation, adding that it may find additional violations. Auxiliary emissions control devices are permitted under the Clean Air Act as long as they're disclosed and explained in detail within applications carmakers file with the EPA. Fiat Chrysler and EPA officials have been in talks to resolve the issues since January, and those talks continue, one of the people said. At the same time, the automaker has been working to obtain EPA certifications for its 2017 model year diesel Jeep Grand Cherokee and Ram 1500, which the agency has thus far refused to grant. Volkswagen admitted to using defeat devices on about a half million vehicles to pass U.S. emissions tests. Its then-CEO Martin Winterkorn resigned and the company has committed to spending more than $24.5 billion to cover costs stemming from the scandal, including a $2.8 billion criminal penalty as part of a guilty plea agreement reached in January with the Justice Department.